Hitikida avarekalu saaru is an easy, yummy, flavorful gravy prepared using freshly peeled hyacinth beans. It is also known as hitikida avarekalu masala saaru or hitikida bele saaru in Kannada. It is the best side dish for rice and ragi mudde. 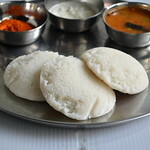 But people here love to have it with idli, dosa, akki roti, ragi roti and even with uppittu. Avarekalu is a winter season vegetable that is available all over Karnataka during december to february. I was waiting for Avarekalu season to start just to post this gravy recipe in my blog. Now the season is started and you can see avarekalu ( Flat beans/Hyacinth beans/Indian lilva beans in English, Mochakottai in Tamil, Surti papdi in Hindi) everywhere in Bangalore. My apartment residents buy in kgs almost everyday and add them in almost all the dishes like uppittu/upma, pulao, sagu/kurma and even sambar. Thanks a ton to my friend Megha for teaching me this wonderful Karnataka style hitikida avarekalu saaru recipe. Myself & Sendhil started liking Ragi Mudde only after having it with this gravy as side dish. Not only ragi mudde, this avarkalu saaru tastes great with rice, idli , dosa and chapathi too. Last year this time, I went to Megha’s house to learn making ragi mudde At that time, she gave me this gravy to taste with mudde. 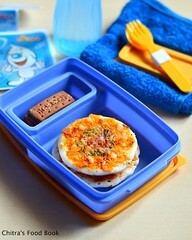 I loved it very much and noted down the recipe. She immediately packed some and told me to give Sendhil too. He liked it a lot. He also appreciated me that I have learnt 2 healthy and yummy authentic Karnataka dishes from my friend. I started making this gravy with ragi mudde regularly in weekends. I am yet to perfect ragi mudde recipe. 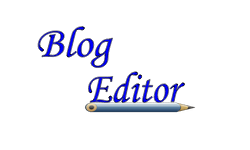 I will try to post with a video soon after I get it right. This particular gravy tastes more like kurma/Saagu and this has no tamarind/Huli. 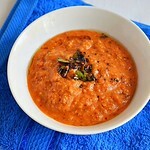 Coconut masala & tomato makes the base for this gravy. It can be done very easily in one pot / pressure cooker and its one of the best side dish for Ragi mudde. 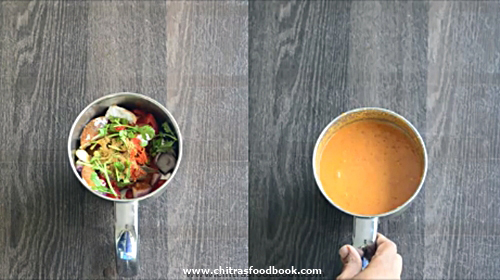 Scroll below to see how to make this yummy hitikida avarekalu saaru recipe with step by step pictures. 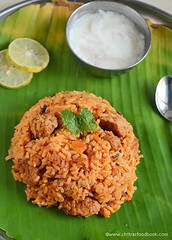 Hitikida avarekalu saaru recipe for rice ! Remove the seeds ( avarekalu ) and soak it in water over night or for 4 hours. Peel the skin by pressing it between your thumb finger & fore finger. It will come off easily. After removing the skin, wash the seeds & set aside.This is called as Hitikida avarekalu (avare bele). Grind all the ingredients given under ”To grind " to a smooth paste adding enough water. Remove in a bowl. 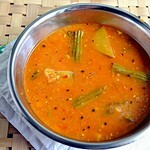 ( You can use Karnataka sambar powder in place of red chilli powder and dhania powder). Heat oil in the kadai and splutter mustard seeds, cumin seeds. Now add chopped onions & tomatoes. Saute till tomato turns mushy ( this step is optional). 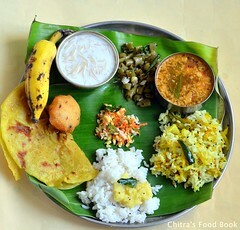 Then add the hitikida avarekalu / chilkavare ( peeled seeds) and curry leaves, mix well. Now add the ground masala paste. Saute till its raw smell leaves it. Add a cup of water. Cover & pressure cook it in low flame for one whistle. Open the cooker after the steam is released completely. Mix well & allow it to boil for sometime if you feel there is excess water. Else remove in a bowl & garnish with coriander leaves. 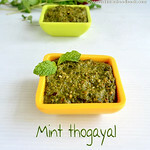 Serve with ragi mudde, rice, idli, dosa or roti. 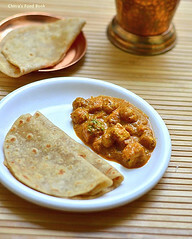 For variations, you can add avarekalu ( whole field beans) instead of squeezed field beans. Adjust the quantity of red chilli powder / sambar powder as per your spice level. You can use coriander leaves for garnish. But use less for grinding. Adding more may change the flavor. Enjoy this hitikida bele saaru with ragi mudde.Tastes yum !! Hi Chitra.. I tried this recipe too.. It came out delicious.. Only thing is poppy seeds to be fried a bit before grinding.. Small suggestion.. 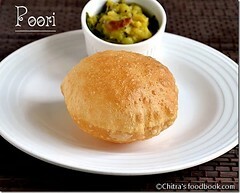 Thanks for the recipe..
Yummy, I tried this one and it was delicious..doing it again..Thanks Chitra! !